Pull up a comfy chair, take a sip of sweet tea and let out a big sigh, because you've arrived my friend, to a town with its own state of mind: Bluffton, South Carolina. Home of character, and to characters, Bluffton's quirky side shines with its own blend of genuine hospitality and artistic eccentricity. Bluffton fills the soul of the traveler with a sense of place that not only captures the charm of a time past, but also brings it full circle into the present. So roll down the windows, breathe in the salty air, stroll among the centuries-old oaks, and plan to visit Bluffton. We'll share our corner of heaven... if you'll surrender to the Bluffton state of mind! Bluffton, SC is bustling with events all year round. Join us for the annual Historic Bluffton Arts & Seafood festival every fall, the weekly Farmers Market on Calhoun street and many more great events centered around the historic town located on the May River. Make plans to join us - after all, there's a reason Bluffton was named the #5 "Happiest Seaside Town" by Coastal Living - come and experience it for yourself! Cast Your Vote for Bluffton to Win! 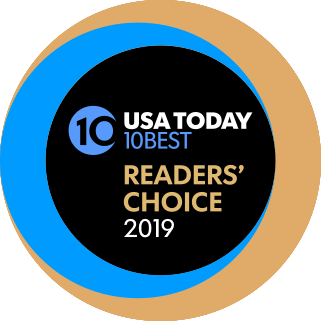 USA TODAY readers have nominated Bluffton as a contender for the publication's 2019 Reader's Choice Travel Awards in the "Best Historic Small Towns" category. Cast your vote today to help make Bluffton America's Best Historic Small Town! 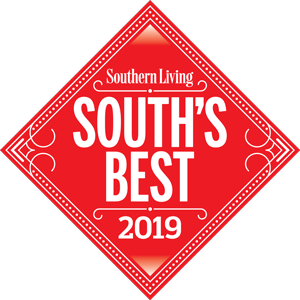 USA TODAY's 2019 "Best Historic Small Town!" Hurry - voting ends 5/6/19! Easily accessible and famous for its miles of pristine, wide beaches, the island has been a favorite vacation spot for military families for over half a century. Calhoun Street and the breezy moss-draped lanes of Old Town Bluffton are the place to be on Thursday afternoons in the Lowcountry! It’s when the vibrant Farmers Market of Bluffton offers locally grown vegetables, fruits, flowers, plants and herbs, plus a potpourri of artisan quality foodstuffs. The Bluffton Farmers Market is the perfect place to pick up fresh, just-off-the-boat seafood along with all the seasonal accoutrements to prepare your very own Lowcountry feast—just like a local. Celebrate Bluffton connects residents and visitors to Bluffton’s rich historical and cultural past.